A Boston College hockey player is “out indefinitely” after being assaulted in Boston on Jan. 19. 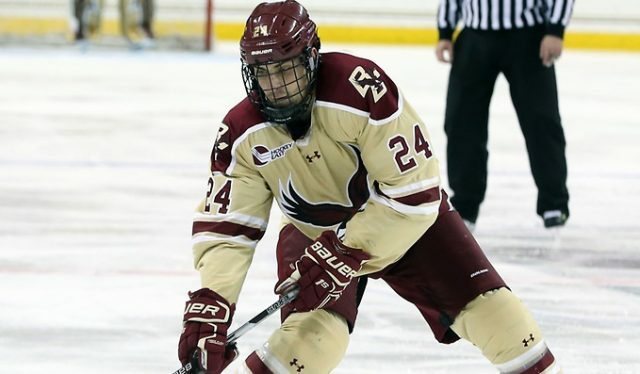 Kevin Lohan, a graduate student and defenseman on the men’s hockey team, was “victimized by an unprovoked assault,” according to a statement from the athletics department. The incident happened at a restaurant on Boylston Street and is being investigated by the Boston Police Department, the statement said. The Cold Spring Harbor, NY native has played 14 games for the Eagles this season. He transferred to Boston College after four years at the University of Michigan, where he was an assistant captain as a senior. Lohan had one year of eligibility remaining after redshirting his junior year. Lohan is Lindsay Lohan’s cousin.